The newly designed inner plates together with the AGM technology results in better performance. The cold cranking capacity of the Nitro HVT batteries are remarkably better than comparable conventional HVT batteries. 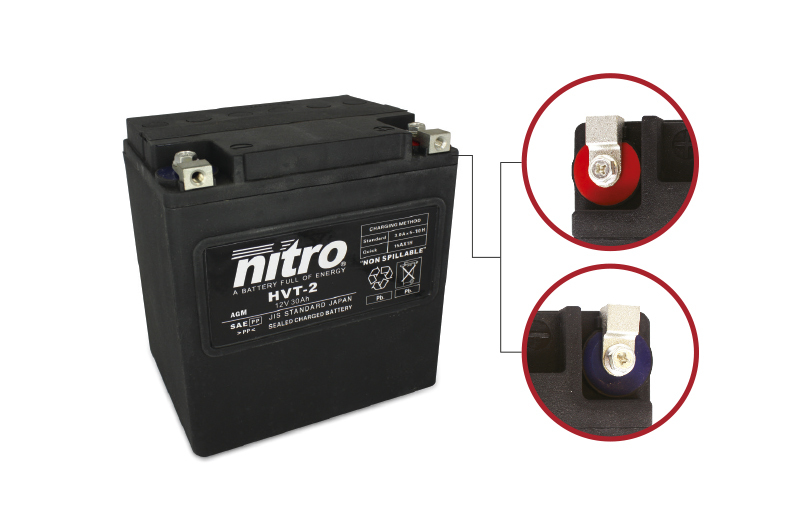 Nitro HVT batteries have patented terminals with lower internal resistance, higher cranking and better output power. Very high discharge capability and better starting ability. Due to a special design, all Nitro HVT batteries have a superb vibration resistance.